Anyhoo.. more about this cake! 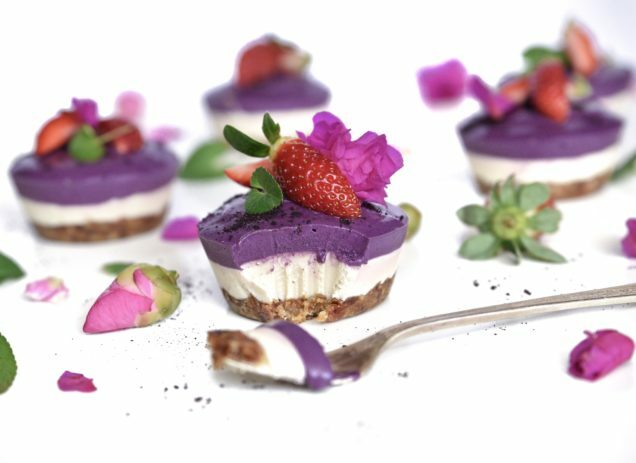 As the title states, it's RAW, VEGAN, GLUTEN-FREE, SUPER CREAMY, full of amazing SUPERFOOD goodness and is the perfect healthy alternative to dairy & sugary Laden Icecream. Weight Loss - Macqui berries help flush the toxins from your system and have an overall positive impact on your metabolism and the digestive system. They may also help with food absorption thus making it easier for your body to metaboilse fat rather store it! Now onto the most important part, the recipe! Blend all ingredients in a high speed blender until very smooth and creamy .